Stepping into today’s workforce is no easy task. Employers are looking for college graduates with the skills and knowledge to join fast-paced teams and the ability to make immediate contributions. 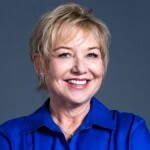 In a Q&A with Liz Dietz, vice president, student strategy and product management at Workday, we discuss the disconnect between education and occupation, the rise of a new learning model called competency-based education, and how Workday intends to support new approaches to learning with Workday Student. In a recent blog, author Jeff Selingo talks about how universities need to better support students from education to occupation. What is driving this need? There is a widening gap between what higher education is teaching and the skills needed in the professional workforce, with many employers struggling to find college graduates with the necessary skills. A 2015 survey by the Association of American Colleges & Universities reveals that a large majority of employers believe recent college graduates are not prepared in important areas for workplace success, such as critical thinking and communication skills. As a result, many higher education institutions are considering new learning models, such as competency-based education, to bridge the gap and ensure students leave academia with the skills they need to be successful in the workforce. One of the most important characteristics of competency-based education is it measures learning rather than time spent on coursework. For example, in a competency-based program, a student studying abroad for a year in Italy could demonstrate mastery of the Italian language and receive credit, versus taking an Italian conversation course. Competency-based education is now making its way into mainstream academia. For example, one prestigious university and customer requires all graduates to master 30 different skills in addition to coursework. These skills range from being proficient in spreadsheet and presentation applications to the ability to develop and write a business plan. This model gives students greater flexibility for earning credits or degrees, personalizes learning, and demonstrates specific skills to employers. Programs can also be tailored to specific workforce needs, including many of the soft skills employers want, which helps ensure graduates are prepared for success. How is Workday getting involved? We are doing a number of things to support new learning models such as competency-based education, and to help students better present all their skills and talents to future employers. First, we talked at Workday Rising last month about our intention to address the limitations of traditional transcripts. Transcripts present only a collection of grades and are not designed to show the full spectrum of who a student is—from skills they have mastered to experiences, such as internships, study abroad, and volunteer work. That’s why in Workday Student, we are currently planning to expand the traditional transcript into an extended transcript that will support competencies, badges, and credentials, so employers have better insights into how well-prepared students are for their organizations. We also talked about our plan to enable the delivery of a student portfolio as part of Workday Student. We see this as a multimedia portfolio delivered in the cloud that could include an extended transcript as well as artifacts such as a thesis, dance portfolio, or design work. Students could provide links to their portfolios when they apply for jobs or grad schools. Our vision is for students to have lifelong portfolios they can continue to build as they progress in their careers. For those attending Educause 2015 this week, we’ll share more about our support of competency-based learning and plans for a student portfolio at the Workday booth on Thursday, Oct. 29 from 11:45 a.m.–12 p.m. In addition to what we’re doing with Workday Student, we’re getting involved on an industry-wide level. Workday was invited by the non-profit IMS Global Learning Consortium to work in conjunction with the American Association of Collegiate Registrars and the Competency-Based Education Network to establish standards for extended transcripts. We’ll share the results of that work at our Educause 2015 panel session, “From Education to Occupation,” on Wednesday, Oct. 28 from 3:30 p.m.–4:30 p.m. This is an exciting time as momentum builds for new approaches such as extended transcripts and competency-based learning, and we are thrilled to be at the forefront of helping higher education institutions explore new ways of preparing students for the workforce.